Home › Google Plus › What is Necessary for a Google+ Hangout on Air? What is Necessary for a Google+ Hangout on Air? If you want to promote a Google+ Hangout on Air through a community and/or written content please feel free to reach out to me at jwojdylo@gmail.com. If you can meet these six requirements you will be well ahead of the game when it comes to a successful Google+ Hangout on Air. Unfortunately, most people do not prepare before their event. I would take a few test runs to make sure the lighting and the audio are as close to perfect as possible. Try not to have a background that is too loud or noisy. Also think about sounds that might happen during the hangout. If you have a loud dog you might want to put him in the front yard during the hangout. There are many questions that will come up in preparation for a Google+ Hangout on Air. Get the logistical matters out of the way so you can tighten up the content. 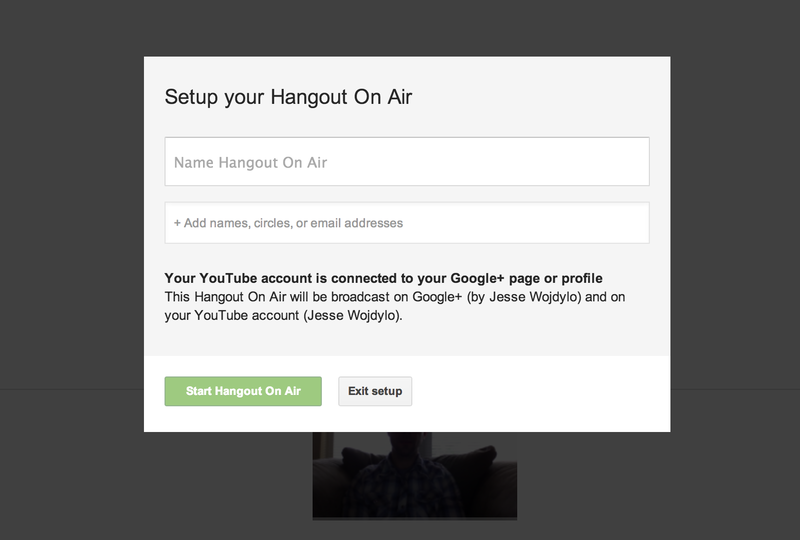 This will allow you to successfully run a Hangout on Air with ease. Once you have completed a few Hangouts on Air you will better understand how to prepare. Also recognize that participants may not show up on time. Start the Hangout on Air up to 30 minutes before the broadcast time. If a participate has not accepted an invitation within three minutes to the broadcast time it is best to carry on without them. I’ve been thinking about doing some hangout where I can teach web design like HTML, CSS, PHP, jQuery, and mySQL. I was thinking of starting with some certain areas that I would like to cover each week during the lesson and then allow folks to ask questions and things like that. Do you think that hangouts would be a good format for something like that? Also, do these hangouts get recorded? Or is there an option to record them?